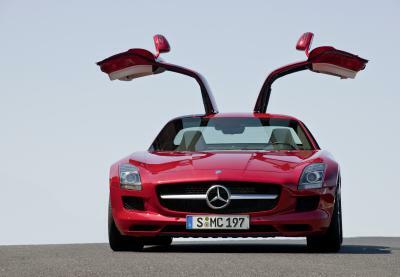 If you are buying or selling a Mercedes-Benz AMG, we can help. Documented vehicles owned by Mercedes-Benz enthusiasts deserve the right owners and the right venue for finding them. Our advertising program is a win-win opportunity for those seeking a Mercedes-Benz and those parting with their rides. Auction programs for high-end vehicles. Our program includes ebay auctions we manage for you (you don’t need an ebay account) as well as telephone auction sales handled by us on your behalf. You can spend your time doing all of this yourself or you can call us and we’ll handle everything for you. The cost is far less than the value of your time. All of our classified ad sales are initiated by calling us at 804-915-7379. The cost depends on the level of advertising you choose – the right eyes, little effort on your part. And for buyers, we’ll assist in finding the right car you’ll be proud to own. Classified ads are listed in our newsletters and our subscribers get “first view” of new listings. Weblog (blog) subscribers may also access our classified listings. You can subscribe to the AMG Market blog here or by entering your information in the yellow subscribe box in the right-hand column. Would you like us to find a specific AMG for you? Well, we do that too. Please call us at your convenience for details: 804-723-9160. Buying or selling an AMG involves more than just filling out a form or clicking on an ad – call us and we’ll provide the service an Mercedes-Benz owner deserves. Hi Guys, I have always been a Benz fan. So 3 years ago I bought my first. A 190e, 2.6 fully optioned and in mint condition which I still have locked up in my garage and use on weekends. I am continually looking for more. Not to exchange but to add. Any info you can send me would be great. As you can see, I have a Cafe in Port Adelaide South Australia. The 190e 2.6 is a fun car on the track! What year? Euro or American model? PS: Great cafe BTW – I’ll definitely stop in if I get back to Australia (great place to visit). Hi Greg, It’s a euro model, Australian delivery 1989. I bought a 1999 C180 as well on Friday. I’ve got a nice old blue/black 88 300ce with 18 inch 5 spoke simmonds rims, amg spoiler & side skirts & amg steering wheel. She’s run up 200,000K’s & Ive started thinking about what to do engine wise when the day comes to refresh it. Are there any good updates/additions or replacement bits available or rebuild options worth pursuing for the old 3 litre & is there a reputable merc performance specialist in Western Australia who could help? I am a New York based fine art photographer trying to get in touch with owners of late 1970s Classic Mercedes Benz cars within the NY area. I am looking to photograph a cinematic scene (exterior and interior) with a Mercedes from that era. Please contact me if you own such a car or know of someone who does! It would be highly appreciated. Thank you very much. I have a 1988 560 sec amg that i want to sell, where would you sugest i advertise this car as to get the best overall coverage ? Consider several outlets to sell your AMG. Your can run free classified ads on both CraigsList.org and Vehix.com. Paid ads can be run on numerous sites, like this one and edmunds, Auto Trader and through the Mercedes-Benz Club of America (MBCA). If you decide to run an ad in the MBCA magazine, join the club first – classified ads are free for members in both the national mag (The Star) and in the local section newsletters. Joining the club is less expensive than the cost of the classified ads. I have a stunning 05 black SL55 I’d like to find a loving home for. Any thoughts as to how to market? She only has 9752 miles. Thanks so much. I’m interesting in any pre-merger AMG parts and/or literature. Please contact me with what you may have and what you would be looking to get for the literature or parts. I’m interesting in Catalog or literature. Please contact me with what you may have and what you would be looking to get for the literature or parts, for model E 320 1996. Where’s the best place to sell my 1983 500 SEC AMG. It doesn’t run but most everything else works. I’ve never done an EBAY auction and am a little apprehensive. I’m in the Oklahoma City area. Any help appreciated. Have you tried listing the car in the classified section of the Star magazine? It is the national publication for the Mercedes-Benz Club of America (http://www.mbca.org). Also, consider some of the niche sites such as autotrader.com and edmunds.com. I have a 1998 AMG C43 i want to sell. Only 38,000 miles, in absolute mint condition. any suggestions for where to sell this. I’d like it to go to someone who would appreciate this. If any one has any info on side skirts, rear skirts, and front spoilers for the 107 SL/SLC please let me know. I am a pre-merger AMG and pre 95 enthusiast. Always looking for parts and literature.